The Boeing Company [NYSE: BA] has issued 60-day advance layoff notices to approximately 510 employees in its Space Exploration division, resulting primarily from the planned completion of the Space Shuttle program. The notices include an estimated 260 employees in Houston, 150 at Kennedy Space Center, Fla., and 100 at the company’s Huntington Beach, Calif., facility. The last workday for affected employees will be Aug. 5, pending the completion of the final space shuttle mission, STS-135. In addition, Boeing previously announced Checkout, Assembly and Payload Processing Services reductions that would take place this year. The program issued approximately 35 notices on May 20 and additional reductions in force will occur throughout the summer. Boeing has played a significant role in the U.S. space program for more than 50 years, participating in every major human spaceflight program since Project Mercury. The company has a record of safety and mission success and is committed to maintaining this capability as the United States shifts its space exploration activities to a new heavy-lift rocket for deep space exploration and commercial crew transportation services for Low Earth Orbit. “We remain committed to NASA’s human spaceflight program and will continue to pursue future opportunities,” said Shaw. 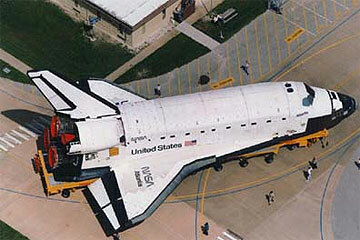 Boeing is a major subcontractor to United Space Alliance (USA), NASA's prime contractor for space shuttle operations. Under this contract, Boeing provides NASA and USA with sustaining engineering, engineering support to operations -- including launch -- and overall shuttle systems and payload integration services. Boeing also is the designer and manufacturer of the space shuttle orbiters.